The 2nd full edition of OST album for KBS 2TV drama series “Love Rain” (also known as “Sarangbi”) is releasing on May 31st, 2012. The second soundtrack for Love Rain features 12 tracks including a song “Fat” from Seo In Guk, who makes his acting debut in the drama. There are also more instrumental versions of the themes “Love Rain” and “Again and Again”, and different version of the previous tracks. Unfortunately, the song “C’est La Vie” is not included. Love Rain (사랑비) – String Ver. Love Is Like Rain (사랑은 비처럼) – String & Piano Ver. Again and Again (자꾸자꾸) – String Ver. Song Of Rain – String Ver. Again and Again (자꾸자꾸) – Guitar Ver. 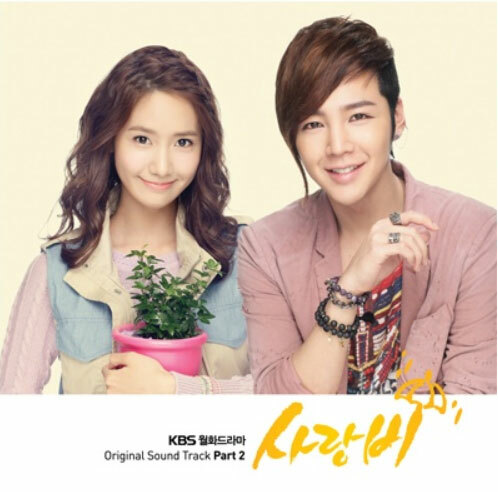 Love Rain Original Sound Track (OST) 2 full album is available in major music stores such as YesAsia (aff).